As I have been flat out lately I haven't finished anything so when AP&Q did a call for possible projects for 2012 I did the only thing possible..... submitted quilts made by some of my students. Well the good news arrived today that they want one of the projects for which I had submitted three different versions. 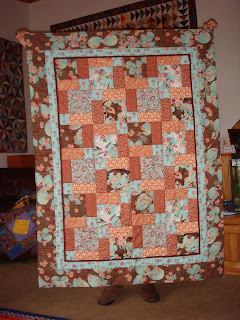 This is Judy Newton's quilt which they want for the project instructions. 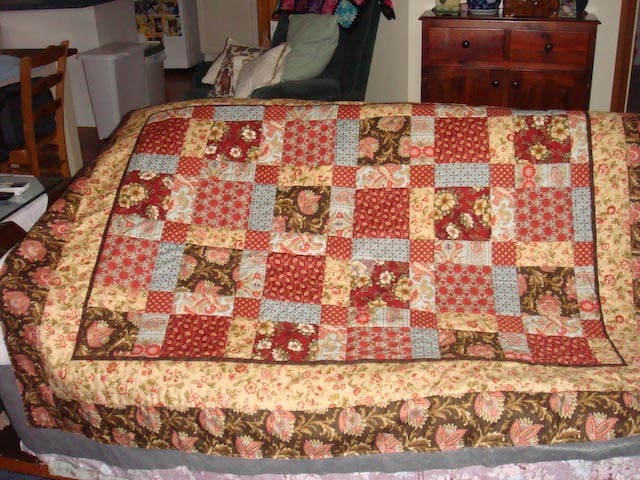 This is only her second quilt and she has even practiced some free motion quilting on it. 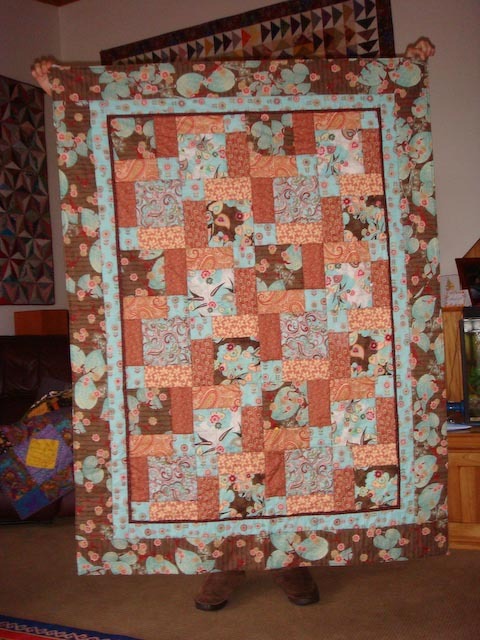 Here is Elaine Sawkins' quilt and even though it looks nothing like Judy's the difference is due to the layout but the technique is the same. Elaine still needs to finish her quilting and is expecting a busy Xmas break as the quilts are due in Sydney Australia Day. 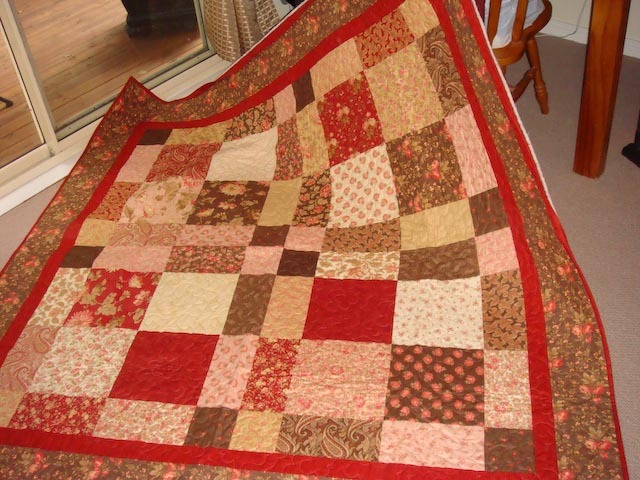 And last but not least is Judy Sheehan's quilt. Yet another layout but again same quilt.. mind you Judy did use a layer cake whereas the other two quilts were made with six inch strips of fabric. Isn't it amazing how different they all look. I can't wait to see them in the magazine... I think it will be the June magazine. All three students were over the moon... particularly as I had simply asked for photos of their quilts without elaborating as to why I wanted them.... simply said I needed to photograph them...... Just love trusting friends:) .